As part of our goal to promote knowledge and care of trees, we take pleasure in expanding our connections to the families and schools in the community. Who better to care for our urban trees of the future than informed and involved children of today! In the Fall of 2007, the CHTF helped make possible the planting of this Silver Linden tree near the corner of Kane and Henry Streets by P.S. 29. On a shivery day in October, CHTF members, the school principal, Melanie Raneri Woods, kindergarten teachers, Ms. Tina Reres, a science teacher, and the kindergarten students of P.S. 29, along with Joan Millman, Assemblywoman and former teacher, gathered to celebrate the planting. The children guided by their teachers have been studying and caring for this tree. Notice also when you walk by, the great raised bed garden on Henry Street in front of the school. The images shown above are the tree at the time of planting (left), and a year and a half later (right). Tree Fund member Courtney Schenck has created this handy and informative visual guide to some of the trees commonly found in our neighborhood in this downloadable PDF. 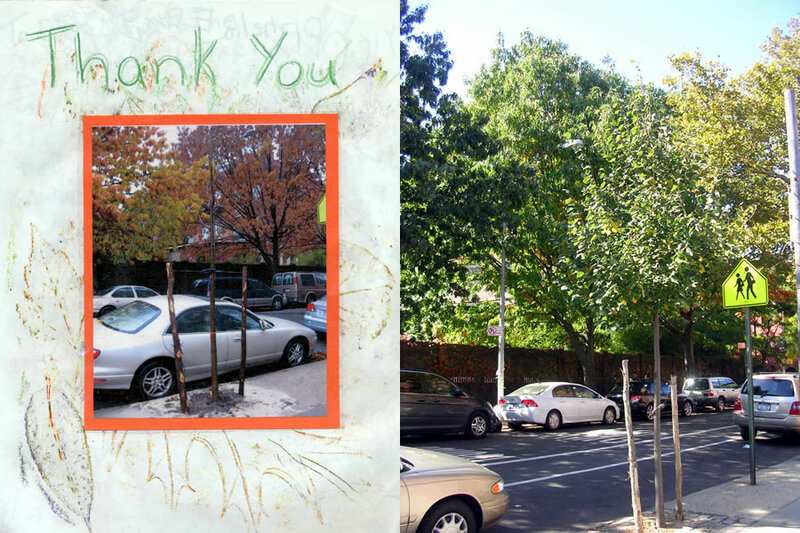 Can you help the Cobble Hill Tree Fund? We Are collecting information on the trees in the neighborhood. With this information we can take better care of the trees. To help us you are going to look at the tree closest to your home. With an adult, please fill out this sheet and return it to your teacher. Thanks for being a local scientist!